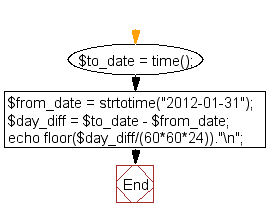 Write a PHP script to calculate number of days between two dates. N.B. : The result may varry for your system date and time. 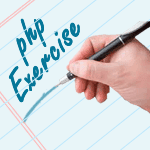 Previous: Write a PHP script to convert the date to timestamp. Next: Write a PHP script to get the first and last day of a month from a specified date.